Japan's biggest gaming, Nintendo, really finally slashed the price of the Wii console from $200 to $150. Not only that, Nintendo also reduced the prices of some popular games ahead of the launch of the Wii 2, 2012. 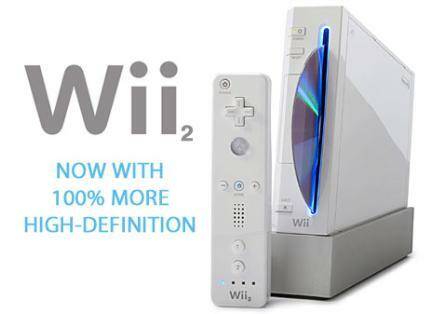 Some time ago it was widely rumored Nintendo will release Wii 2 game console. Following this news, some parties claim that Nintendo would go back to reduce the price of the Wii console, after being amended several times the price decline. Apparently the information is not just a figment. From 15 May, the Wii game console will be priced $150, or $50 cheaper. Consumers who buy the Wii console, with black or white, also will get the game Mario Kart Wii and Wii Wheel accessory, replaces the game Wii Sports and Wii Sports Resort, which previously included in the package. This is the second time to cut the price of Nintendo's Wii console, which was originally priced $250 when it launched in 2006, as reported by the Straits Times on Thursday (05/05/2011). Nintendo also plans to sell a collection of games Nintendo Selects lower prices, ie $20. Four games that can be enjoyed is The Legend of Zelda: Twilight Princess, Animal Crossing: City Folk, Mario Super Sluggers and Wii Sports. This is the first Wii Sports sold separate from the Wii console package. Since its launch five years ago, Nintendo reportedly has sold approximately 86 million units of Wii, in which 35 million units of sales coming from the territory of the United States.